This is trim seal that installs between the car door and the car body (in the metal edge of the car body). All details about the install place, dimensions, and flexibility is clarified in the pictures. Available on Amazon UK . 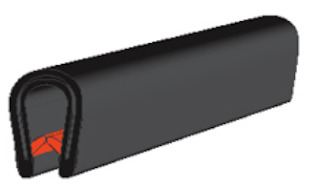 We Sell This Trim seal in 1FT increments (1 Quantity = 1 FT ) (1FT=30.5 Centimeters ) . Put the quantity you want in the quantity box . 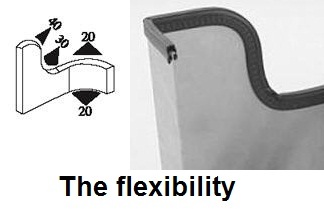 Your Trim seal will be cut in one Continuous Piece to the exact length you order . 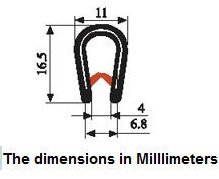 You can select the suitable Trim seal for your vehicle by the dimensions . 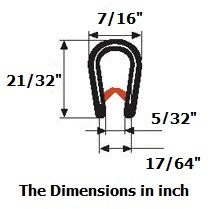 You can compare this Trim seal dimensions and your old Trim seal dimensions. Width : 16.5 M.M . Edge thickness : 4 M.M . Grip range : 1.0 - 4 M.M . Edge thickness : 5/32" . Grip range : 3/64" - 5/32" . Materials: PVC / METAL . - In the metal edge of the car body between the car door and car body . - In the external edge of the car door and more . - Car door seal trim. - Window weather stripe for Mini bus. - Trim seal for caravan. - PVC seal for motor lid. - Seal door for heavy equipment. - Sealing product for metal boxes. - Edging trim for metal sheet. - PVC strip for the electric boards. - Weatherstripping for home doors. - Contain internal metal clips to grip permanent around the install place. Will be griping around the edge without adhesive or any other thing). - Prevent leaks , gaps and vibration. - Prevent leakage of the air conditioner to out. - Prevent entry of dust , air and rain water. - Cover the sharp metal edges in the cars and the home. 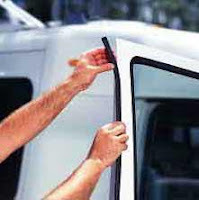 - Protect the external car door edge from the clash on the walls or other cars. Edge trims & Seals on Amazon UK. Delivery to Worldwide. Mercedes W123 seals for doors, windows, trunk, sunroof, bumpers, windshield and back glass.